After years of developing, nurturing and promoting Asian Canadian writers and readers, we celebrate our successes and with a new generation of writers and readers at LiterASIAN. We think it’s about time: literASIAN is a festival celebrating Pacific Rim Asian Canadian writers. At this third annual literary festival, we introduce the following lineup of authors – this year’s theme is science and speculative fiction. For more information about the schedule, visit the festival’s website. Born in Vancouver, Canada, Christina Park has been around art and letters all her life. 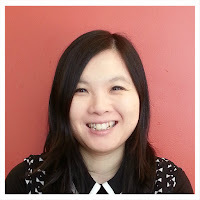 Her writing is informed by personal experiences as a second-generation Korean Canadian, as well as by living in Vancouver and Montreal. She was editor of one of UBC’s literary magazines and attended Oxford University. She comes from a family of academics and a notable Korean author: a film adaptation of one of her father’s most well-known works screened at the 1996 Cannes Film Festival and was short-listed for Critics Choice. Outside of her writing pursuits, Christina has worked for technology start-ups and large financial corporations, including as VP of Marketing for a prominent investment management company. An avid traveler and would-be runner, she is thankful to have run in interesting locales where she could see things up close. Wesley Robert Lowe has been writing fiction and non-fiction professionally since the early 1990’s. Many of his stories integrate elements of his Chinese heritage: infusing contemporary worlds with ancient mysticism; colluding and colliding worlds that grab readers, keeping them awake at night, long after they’ve turned the last page. Vancouver’s Chinatown is important to him and it figures prominently in his writing, and his community activities. He appreciates and writes in several genres including urban fantasy, action thrillers and family drama. When not writing, he roasts his own coffee and plays his 1908 Steinway Grand Piano. 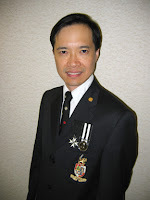 Originally from Taiwan, Dr. Tony Pi is a Toronto-based writer with a Ph.D. in Linguistics. A past nominee for the Aurora Awards, he is again nominated this year in two categories: Best English Short Fiction (for “No Sweeter Art”, set in Song Dynasty China) and Best English Poem/Song (“A Hex, With Bees”, based on the I Ching). He is also a past finalist for the John W. Campbell Award for Best New Writer, and a second place winner of the Writers of the Future Contest. He has been published in Ricepaper, Clarkesworld Magazine, Beneath Ceaseless Skies, and many other venues. Derwin Mak lives in Toronto. His short story “Transubstantiation” won the Aurora Award, Canada’s national science fiction award, for Best Short Form Work in English in 2006. He and Eric Choi co-edited The Dragon and the Stars (DAW Books, 2010), the first anthology of science fiction and fantasy by overseas Chinese. It won the 2011 Aurora Award for Best Related Work in English. His two novels are The Moon Under Her Feet and The Shrine of the Siren Stone, which are science fiction that deal with religious themes in Christianity, Shintoism, and Buddhism. He co-edited the Speculative Fiction Issue of Ricepaper with JF Garrard in 2014. 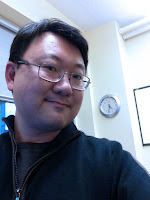 Eric Choi is a Hong Kong born writer and editor currently living in Toronto. His short story “Túshūguăn”, which appeared in the Fall 2014 issue of Ricepaper, will be reprinted in the retrospective anthology AlliterAsian: Twenty Years of Ricepaper Magazine. “Dedication”, his Asimov Award winning novelette, appeared in Japanese translation in The Astronaut from Wyoming and Other Stories. With Derwin Mak, he co-edited the Aurora Award winning anthology The Dragon and the Stars, the first collection of speculative fiction by authors of the Chinese diaspora. He is also the co-editor, with Ben Bova, of the new anthology Carbide Tipped Pens. Shirley Camia is a broadcaster and journalist, born in Winnipeg to first-generation Filipino immigrants. She has traveled throughout the Americas, Europe and Asia, sleeping alongside the rice fields of rural Japan and falling in love with Canada’s far north. She lives and writes in Toronto. Holman Wang grew up in Vancouver, BC, where he still lives with his wife and two children, ages five and four. He is a former teacher and lawyer who now creates children’s books full-time. He and his twin brother Jack are the authors and illustrators of the board books series Cozy Classics and Star Wars Epic Yarns, which abridge well-loved literary and cinematic classics in just 12 words and 12 needle-felted illustrations. Their work has been featured in The New York Times, The Wall Street Journal, Huffington Post, People, The Globe and Mail, Canadian Family and Ricepaper. Holman and Jack created the Google Doogle in honour of Laura Ingalls Wilder’s 148th birthday on February 7, 2015. Holman has given presentations about their unique illustration process at SXSW, Google, Lucasfilm Letterman Campus, and Maker Faire. Interested in a writing workshop or attending an event? For more information, please visit the festival’s website.